This concise introduction to the life and thought of Ibn 'Arabi who is considered as the "Greatest of Sufi Masters". Written by the author of a best-selling biography of Ibn 'Arabi, Ibn 'Arabi: The Voyage of No Return traces the major events of Ibn 'Arabi's life: his conversion to Sufism; his travels around Andalusia and the Maghreb; his meetings with the saints of his time; his journey to Mecca; his travels in Egypt, Palestine, Mesopotamia, Anatolia and Syria; his most important books. The events of Ibn 'Arabi's "inner voyage", however, are far more spectacular than those of his outer life and are here presented directly from the many auto-biographical sections found in his writings. 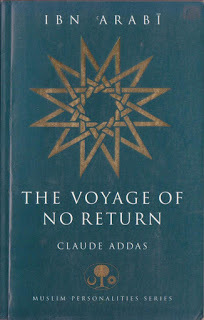 Through her detailed analysis of Ibn 'Arabi's works and her profound understanding of his ideas, Claude Addas gives us a comprehensive insight into the major doctrines of this most influential Sufi masters: the doctrine of prophethood and sainthood, of inheritance from the prophets, of the "imaginal world", of the "unicity of Being", of the "Seal of Saints", and many others. Addas also introduces the main disciples of Ibn 'Arabi down the nineteenth century and traces both his unequalled influence on the course of Sufism and the controversies that still surround him till today. 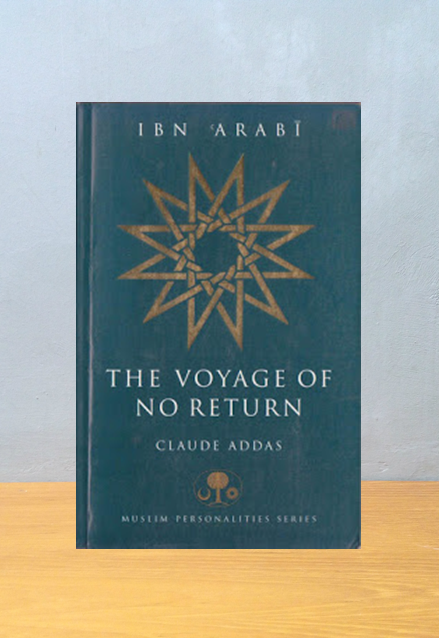 Ibn 'Arabi: The Voyage of No Return is essential reading for anyone interested in Islamic mysticism and is a genuine contribution to scholarship in this field.